SPG Ambassador Gifts From Starwood? A LoyaltyLobby member send me an email over the weekend about a gift (second ever) that Starwood had sent her due to Ambassador status. 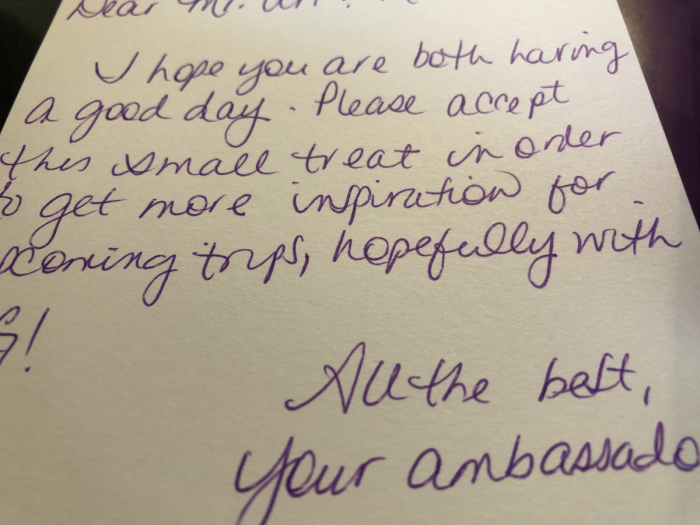 The gift had arrived to her office address and came with hand written note from the Ambassador program. You can access SPG’s site for the Ambassador program here. 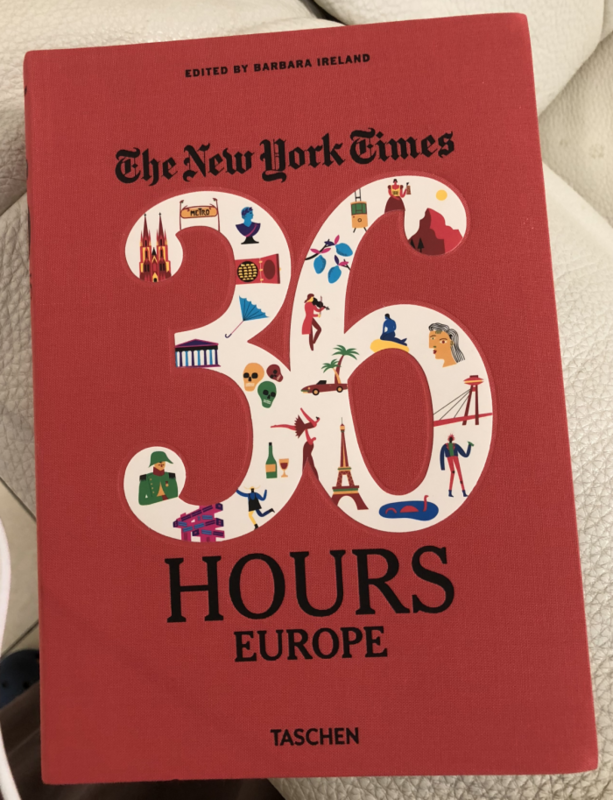 New York Time curated book about 36 six hour itineraries at various European cities. Seems to be a nice gift to give ideas about possible European itineraries. The book is available from Amazon (access here). I received a pouch from SPG at the end of last year (read more here). Have other readers received gifts from the SPG’s Ambassador program as of late?